The Sheldon Theatre entertains, educates, and enlightens the community and its visitors through the transformative power of the performing arts. 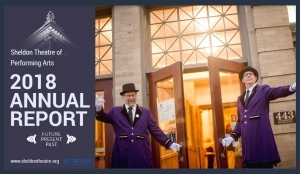 Red Wing’s “jewel-box”, the Sheldon, is a cornerstone community partner, a regional arts hub, and a national trailblazer in the rise of small-town performing arts centers. 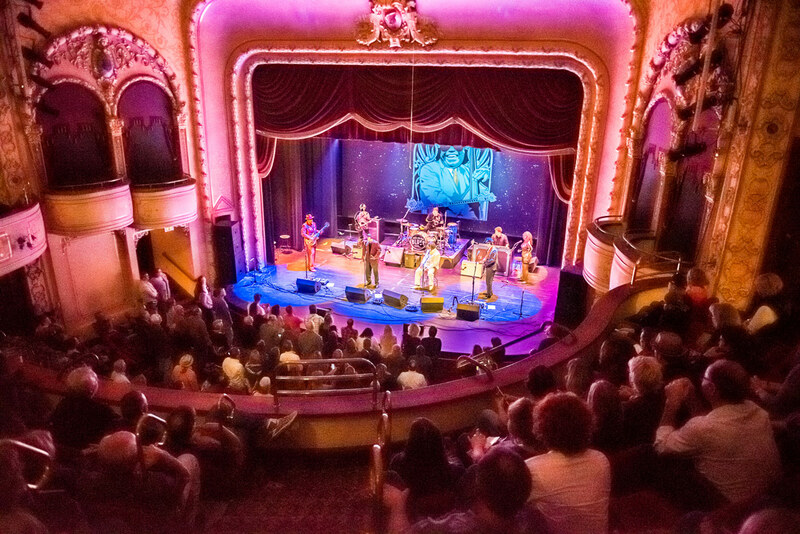 Located in the heart of one of the most beautifully distinctive downtowns in the Midwest, the 113 year old theatre is a truly unique gathering place where tens of thousands of people each year connect with themselves, with one another, and with the larger world. The Sheldon has been described as Red Wing’s “jewel-box”, a place of great community pride. Our region is investing once again in this unforgettable place, because live arts experiences shared with friends, family, and neighbors are special and they always will be. One of 28 podcasts created by the Red Wing Heritage Preservation Commission focusing on the historical sites in the Downtown Historic District and the Heritage Mall Historic District of Red Wing, Minnesota. Built in 1904 with funds gifted to Red Wing by grain baron T.B. Sheldon, the Sheldon Theatre remains a vital link between the region’s historic identity and its evolving future. Among the oldest operating theaters in Minnesota, the first municipally owned west of the Mississippi in the U.S., and one of the rare of the era to maintain a commitment to live performance throughout its lifespan (even during a period as a movie house), the Sheldon is a community treasure. Since a 1988 visionary community investment in a full historical restoration, the Sheldon has been SE Minnesota’s most inviting and evocative home for performance. The ornate gilded interior is rich with layers of history, while the contemporary programs are known for their high quality and an eclectic on purpose approach. The trust directors, including Sheldon’s second wife Annie, decided upon a theater — the first municipally owned theater in the United States. In 1904, four years after Sheldon’s passing, construction was complete on the T. B. Sheldon Memorial Auditorium. When the theatre first opened, the interior was such a celebration of arches, delicate plaster sculpture, decorative painting and many other rich detail elements that it caused The Sheldon to be described as a “jewel box.” This grand venue played host to large traveling shows, prevalent in those days. But the 1929 stock market crash and the advent of films led to the decline of such entertainment. In 1936, the theater underwent a major renovation to make it an appropriate venue for moviegoers. The interior layout was redone and seating was increased. As time progressed, additional alterations were made, including the addition of a snack bar in the foyer. Unfortunately, little thought was given to preserving the fine architectural details of the original theatre. In the 1970s, as competition from multi-screen movie houses and television increased and the Sheldon’s operating revenues decreased, the city began to consider alternative uses for the theatre. In 1984, a special task force began to pursue the idea of restoring the theatre to its original elegance and using it as a home for live performing arts. In 1986, the citizens of Red Wing passed, by an 85% majority, a $1.5 million bond issue to help fund restoration. An additional $2 million was raised through private contributions. In 1988, the totally-restored Sheldon Theatre again opened its doors to the public as a showcase for the best local, regional and national arts and entertainment.